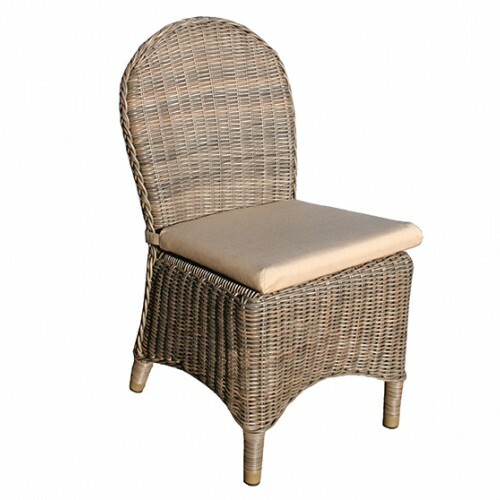 The Marlow dining armchair is an elegant and comfortable chair that is a pleasure to sit on. 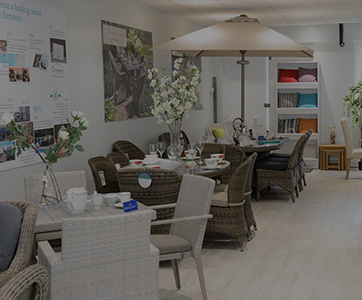 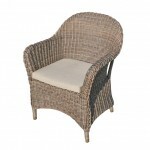 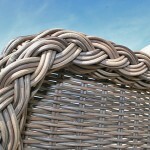 The chair is made using the finest all weather rattan and has a special weaving feature around the top and arms of the chair. 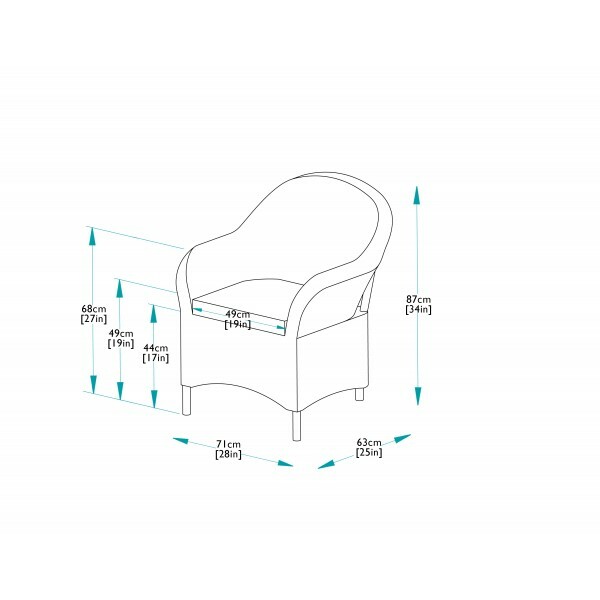 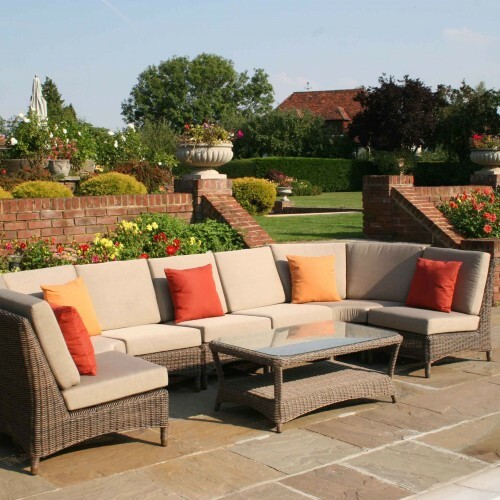 The chair is supplied complete with a top quality beige fully waterpoof and stain resistant cushion, conveniently meaning that there is no need to bring in the cushions during wet weather. 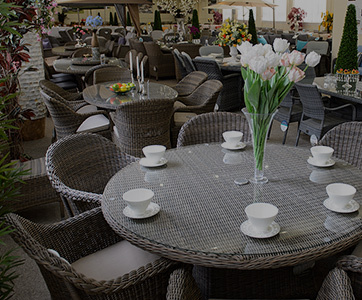 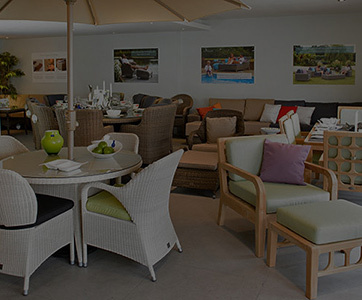 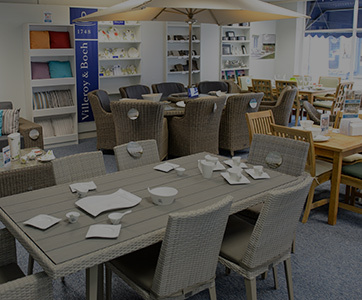 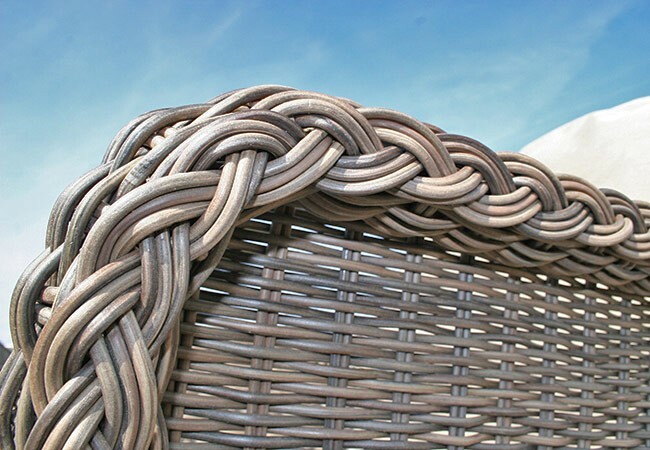 Using the highest quality 5mm round synthetic rattan weave, means that our garden furniture can be left outdoors all year round without any risk of fading, cracking or splitting. 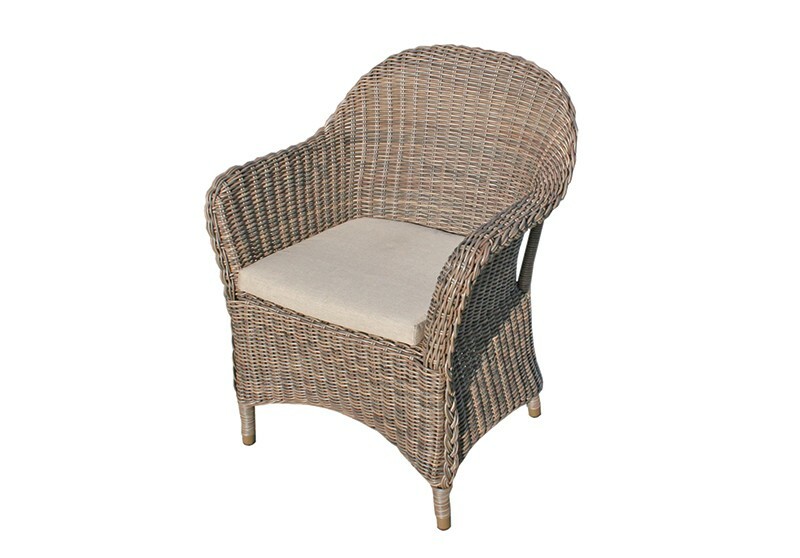 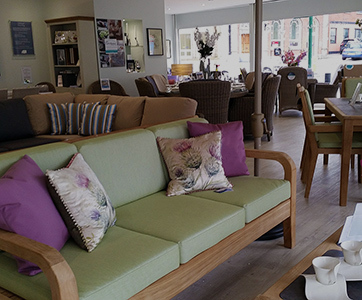 Combine this armchair with any Marlow dining table to create the perfect conservatory or garden furniture set.